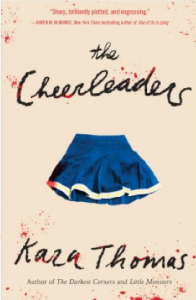 Five years after the deaths of five Sunnybook cheerleaders Monica, the sister of one of them, decides to look further into their deaths when she uncovers information that leads her to believe their deaths by car accident, murder, and suicide actually had fowl play involved. 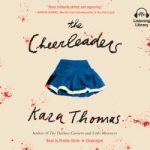 With a tragic backstory that does not quite add up, The Cheerleaders makes for one delicious mystery with layers of additional dark issues plaguing Monica’s junior year of high school. She discovers that her complicated and much older summer fling is the new track coach. Her mother is distant and wishes Monica would move past her sister’s death. Finally, the girl Monica has sparked a friendship with and helps with the investigation, possibly has unthinkable secrets of her own. The story is told from Monica’s sister Jen’s point of view, from right before her death, intersecting with Monica’s investigative narrative and creating a unique way of uncovering the mystery. 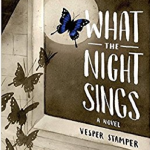 Thomas weaves teenage life with deceptive clues, sinister suspects, and dark secrets that will have you turning the page until the novel’s satisfying conclusion. For fans of Riverdale, Pretty Little Liars, and Veronica Mars as well as thrillers such as Monday’s Not Coming by Tiffany D. Jackson and The Female of the Species by Mindy McGinnis. Arthur Louis Pullman the Third is the troubled grandson of a famously reclusive Beat-generation writer famous for penning a singular novel of literary genius, then disappearing from public life and ultimately succumbing to dementia. One week before his death five years prior, he had disappeared from the family home and wound up dead a week later in Ohio, the events of that week a mystery to his family. 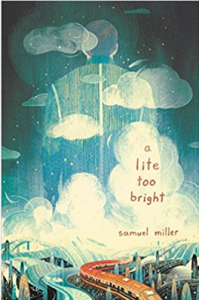 Finding a clue to his grandfather’s journey in the form of a poem left behind in his uncle’s house, Arthur decides to follow it in the hopes of discovering the truth about that last lost week of his grandfather’s life, and perhaps outrunning his own problems in the process. The first clue leads to others that take him on a train journey from California to Ohio, with each discovery he makes about the details of his grandfather’s enigmatic past adding up like puzzle pieces to an extraordinary bigger picture, placing his grandfather’s complicated past in the larger context of the messy, complicated history of our country. 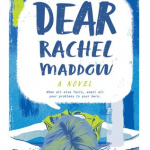 This is a novel unafraid to take unpredictable imaginative leaps with gusto, while flashes of humor and realistic protagonists keep it grounded amidst a backdrop of larger-than-life characters and ideas. Fans of John Green and David Arnold will be swept up in this epic journey of self discovery, and teens looking for a fresh take on the great American road trip novel will find plenty in the way of breathtaking mystery, adventure, and big ideas here. Fifteen stories retell favorite tales of legend and myth from East and South Asian cultures including Chinese, Vietnamese, and Korean, among others. 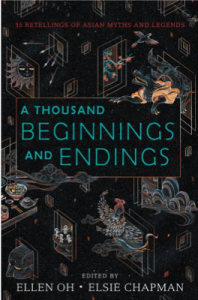 Using various genres and both classic and contemporary settings, fifteen Asian young adult authors breathe new life and imagination into their beloved childhood stories with everything from star-crossed lovers and hungry ghosts to reformed vampires and rebellious androids. In selections ranging from lush fantasy to thought-provoking science fiction, beautiful and richly detailed prose immerse readers in these foreign tales with classic themes such as good versus evil and the unshakable bonds of family. The struggles of the teen characters, both heartwarming and heart-wrenching, are simultaneously age-old and current. 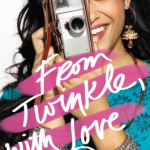 This culturally diverse compilation with its Asian inspiration fills a void in contemporary story collections, and the variety of genres and time periods should appeal to a wide range of teens. The essays following each story add extra depth as they summarize the often unfamiliar sources as well as provide insight into the author’s creative inspiration. This is a solid story collection whose overall writing in compelling. 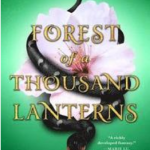 Fans of Forest of a Thousand Lanterns by Julie C. Dao will appreciate this. Hand this to teens who enjoy story collections and retellings of classic tales.